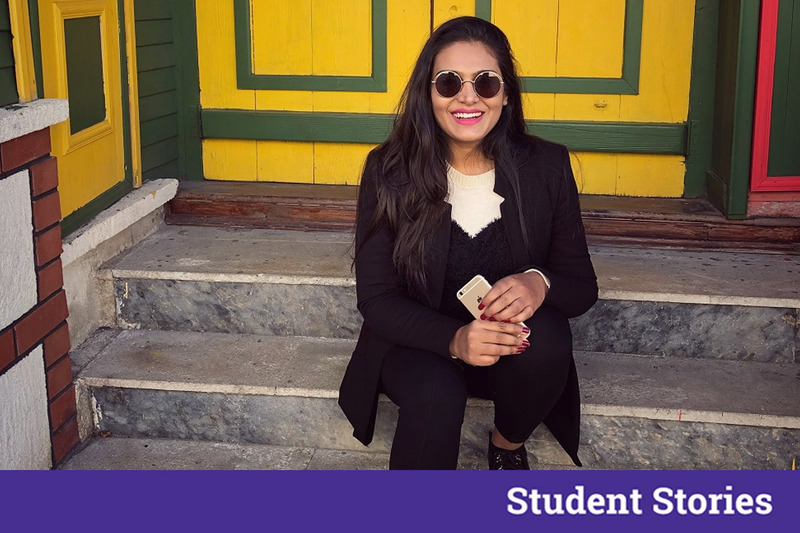 Meet the young writer Aayushi Yadav from Lucknow who is presently a Content Curator at ‘The Scribbled Stories’ and Head Corporate Communications for a Real Estate company in Pune. As most of us had a diary someday where we would write about our days and memories, that is what brought out the writer in Aayushi initially, and now she is one of the most popular writer on Scribbled Stories, jotting down the practical daily stuffs that we experience, in a better way. For Aayushi Yadav, writing started as a daily routine of reading before bedtime and taking part in different competitions and now she plays with words so well that anyone can be overwhelmed by her work and become her instant fan like we do. Follow Aayushi on Instagram to check out her wonderful writings. 1.What according to you is the most important quality a person should have to become a poet or a writer? Empathy. If a writer only writes out of his experience, one day he will run out of stories to tell. Empathy connects us on a level that goes beyond logic or words. It is the ability to step into the shoes of another person to feel and see the things from a different perspective. 2. Can you describe the time when you first realized that this was something you absolutely had to do ? I can’t really pin-point the time or day. But I definitely remember that in the initial days writing helped me in channeling my thoughts. Even happy ones. Written words are a testimony that yes I just felt that emotion, thus they are on the paper now. 3. What are your writings mainly based on? And how do you get the ideas to start off with the writings ? They are mostly gloomy and dark. There are a lot of unwritten bottled thoughts and emotions that all of us go through on a regular day. After adding a pinch of murk and a tablespoon of experience I pen down the recipe of reflection. 4. Whose writings inspire you the most and why ? Charles Bukowski. He is probably one of the few writers who have given a right direction to their pain and experiences to advance their talent in the world of words. The acceptance of a failure, heartbreak, disappointment or a million other calamities and still living is not for everyone. His acceptance of his life must not be perceived as a submission but strength, ​which is highly evident in his work. 5. What do you try to communicate through your writings? There is not a theme or a mood board for my writings. It varies with the kind of day or week I am having. If there was an impressive buffet for breakfast, you will probably read an ecstatic snippet. And if I am having a bad hair day with traffic making me late for work, you will definitely read an honest rant undersigned by me. 6. Is there any difference between the old age poets and the modern day young poets? The very noticeable difference is that the age old poets used to write poetry in one single line. The new age writers should not write dissimilar words in 10 different lines and call it poetry. That’s not creative or remotely poetic. 7. If yes, what and which one do you prefer personally? I am a vintage girl; it​ will be always age old, deep and meaningful poetry for me. 8. What was your first writing about and how did you come up with it? My first piece of writing was a journal entry about my day. I am quite fond of exclusive stationery. And my mom got this really fancy notebook that had colorful pages with sections and everything. So yes, fascination is the real motivation sometimes. 9. Do you think social media plays an important role in a career of a writer or a poet to get established ? Reasons! A big yes in neon. Social Media has created readers. And good readers demand new and fresh content. There are so many young writers who micro blog on Instagram. I think it’s phenomenal. 10. If you get a chance to meet one writer (living or dead) in your lifetime who would that be and why ? R.K. Narayan. In my childhood, amongst Nancy Drew’s and Huckleberry Finn, there was also Malgudi Days. His modest style of writing gave me the sensibilities to imbibe the true culture at a very young age. 11. Few unknown facts about yourself. 12. Is writing more of a passion or profession for you ? I hope and pray that writing always remains a passion for me. The day it becomes a profession I will stop adoring it.